Every 3rd Sunday we host an Artisan Market featuring local jewelers, artists, creatives, and craftsmen! Join us from 12pm-3pm in our Event Hall where you can sip and shop! 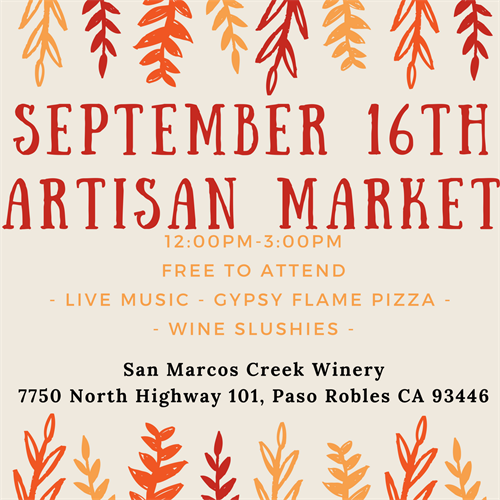 We will also have Gypsy Flame pizza as a vendor and San Marcos Creek will be serving wine slushies! Contact us here if you are interested in becoming a participating seller or email contactus@sanmarcoscreek.com for more information on upcoming craft markets.